Child Abuse Pediatrics is a fairly new subspecialty, and it’s one that’s already generated more than its share of controversy. Ostensibly, the mission of Child Abuse Pediatricians is to protect children and society from the long-term damage caused by child abuse. However, faulty training and overzealous practitioners have led to many cases in which innocent parents have been falsely accused of abuse. Practitioners are relying on the unproven hypothesis SDH & RH = abuse to determine when a case of child abuse has taken place. Child Abuse Pediatricians have been shown to reject both old and new science that doesn’t fall in line with their beliefs. The methods used by Child Abuse Pediatricians have been increasingly challenged after numerous doubts have been raised regarding their validity. There is a demonstrated lack of effort to eliminate false accusations of abuse. 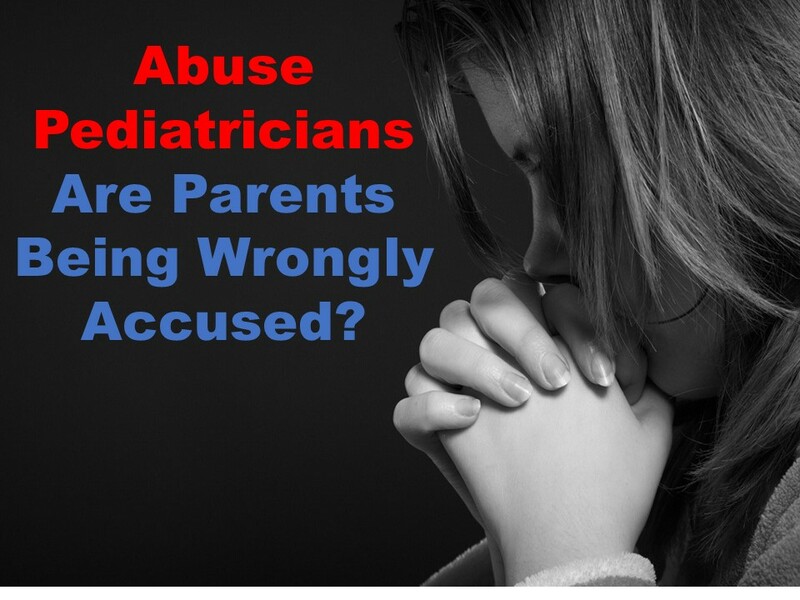 When so many questions and doubts are being raised about the methods these pediatricians are using to determine when abuse has taken place, why are these doctors being allowed to tear families apart at will? That’s what we, Robert and Kathleen Raskin of Las Vegas, would like to know. Won’t you join us in our quest to hold the people who are working to destroy families accountable? A recent case has thrust the Child Abuse Practitioner controversy back into the spotlight. Last April, CPS workers removed Allie and Jimmy Parker’s two children, Isabella and Dylan, after a Child Abuse Pediatrician falsely accused them of abusing their infant son. The Parkers originally brought the newborn to the doctor over concerns about a mark on his abdomen, never dreaming they’d be accused of causing an injury to their child. The Parkers were not permitted to get a second opinion because the doctor who accused them, Bethany Mohr from C.S. Mott Children’s Hospital at the University of Michigan, was a so-called expert. If that is the case, why not allow them to consult a second expert? Ironically, the Parkers chose this particular hospital because they were led to believe their child would receive the highest standard of care there. Instead, what this family received was nothing short of a nightmare. The false accusation not only devastated the family emotionally and placed their children directly in harm’s way—it also devastated the Parkers financially when they were forced to hire attorneys and bring in outside expert witnesses. Ultimately, the family did not have their parental rights terminated after outside experts demonstrated that the infant had a severe vitamin D deficiency that caused him to have brittle bones. This family was lucky, but not all families who have been falsely accused by these practitioners can say the same. While Dr. Mohr has not agreed to an interview, retired University of Michigan Pathologist Dr. Douglas Smith was willing to comment on the case. Before you agree to be interviewed by a Child Abuse Pediatrician, educate yourself about your rights. Anything you say to these doctors can and will be held against you in a court of law, whether you have committed a crime or not. Are parents being wrongly accused? Wrongly accused Detroit family has charges dismissed.